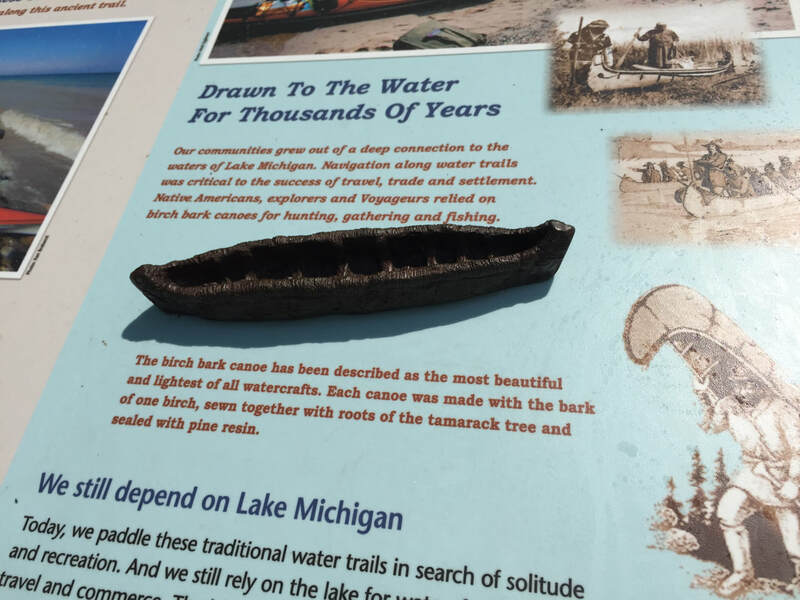 Lake Ledge provides innovative, thoughtful and accessible exhibit design and interpretive media from concept to installation. 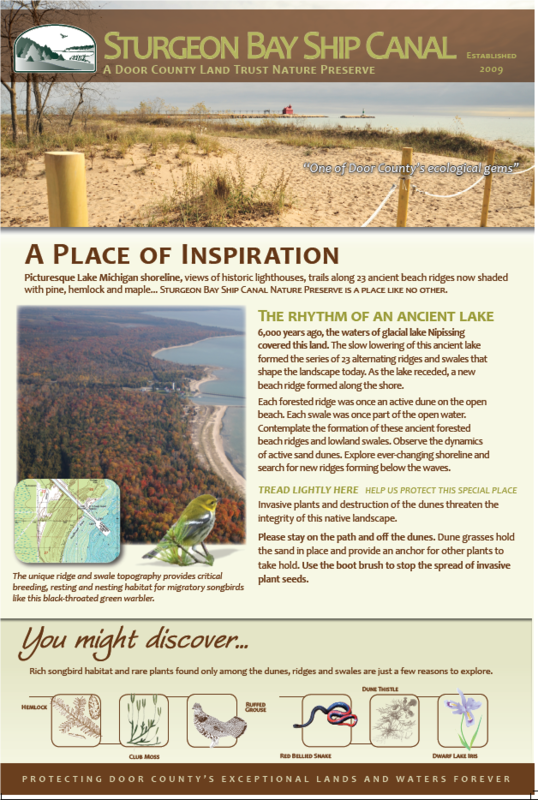 We work closely with you to meet site goals, enrich the visitor experience and reach the broadest audience. 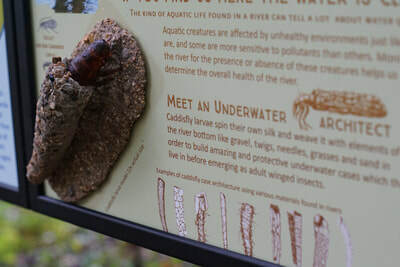 5 foot long custom cut metal sturgeon to represents a 25 year old female that is ready to spawn... for the first time! 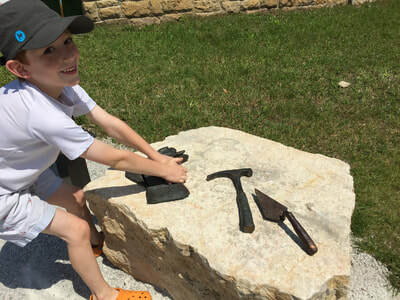 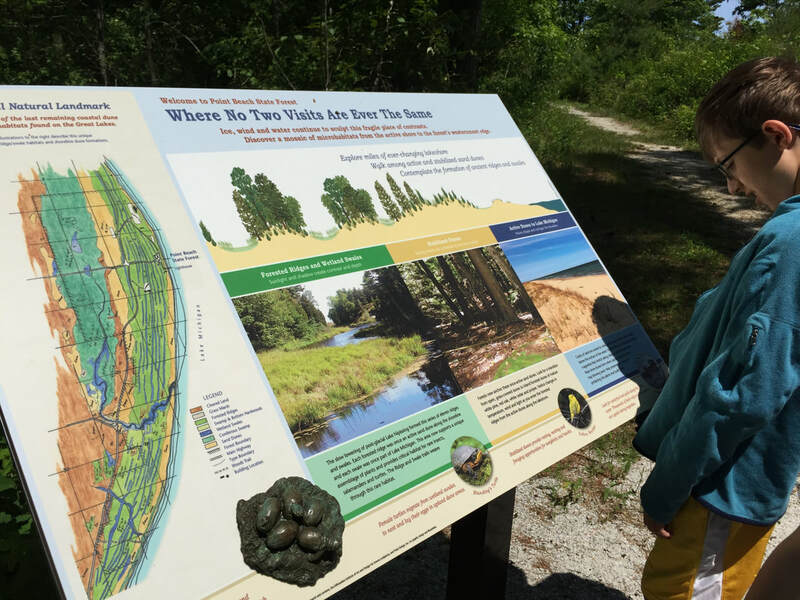 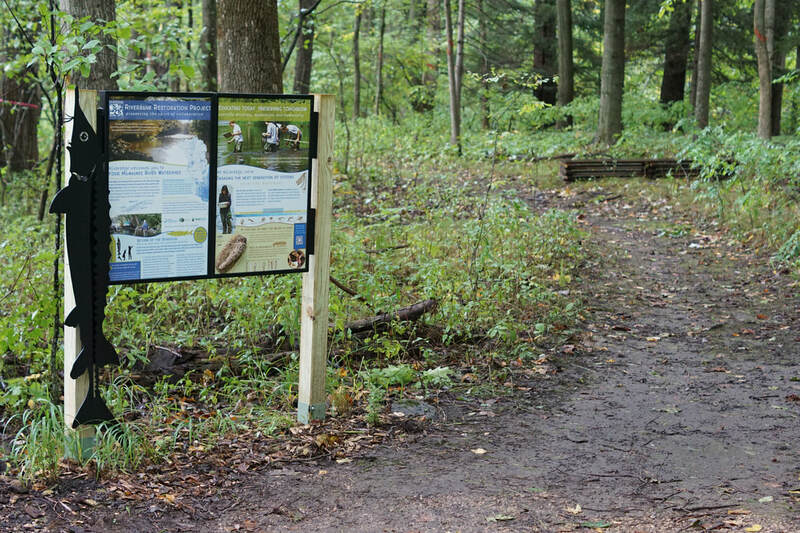 To connect the native plant landscape designs at the library grounds to the native habitats of Door County, emphasizing and identifying the plants and animals found when exploring these environments. 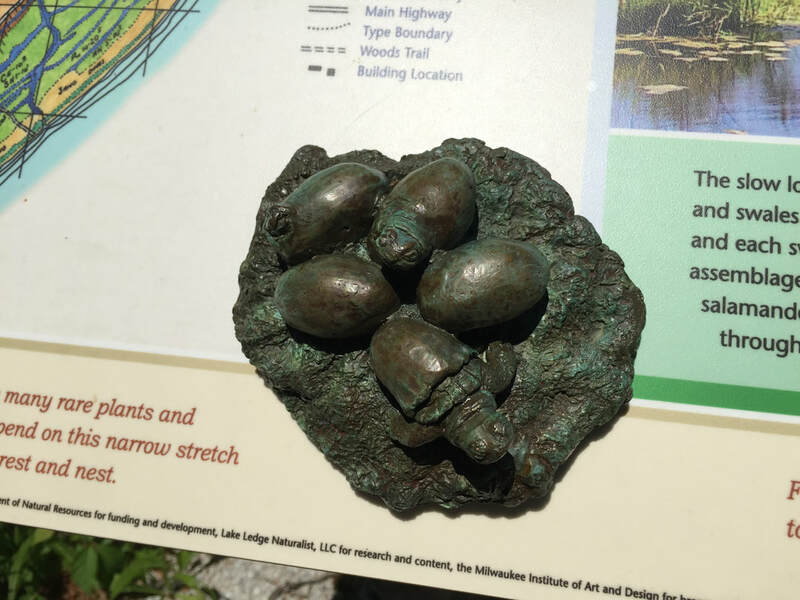 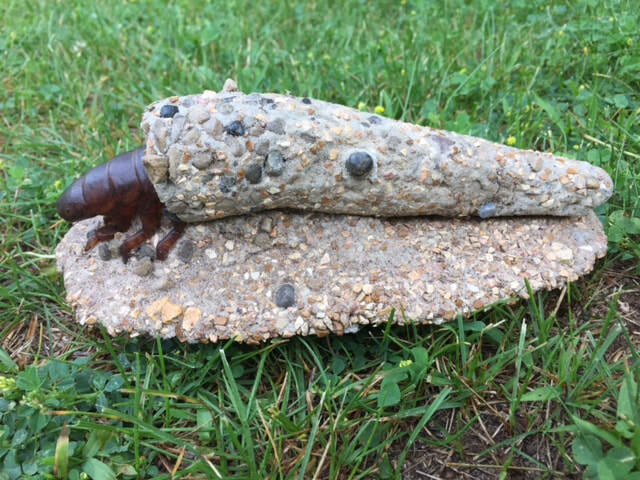 9 biologically accurate, custom metal sculptures of native plants, insects, fish and spiders throughout the landscape design. Seek and Find Interactive component within the artwork for kids and families. 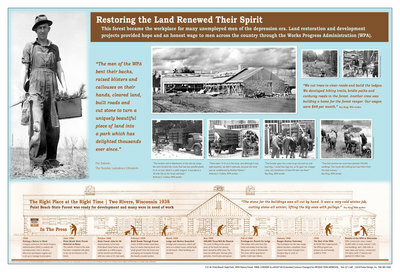 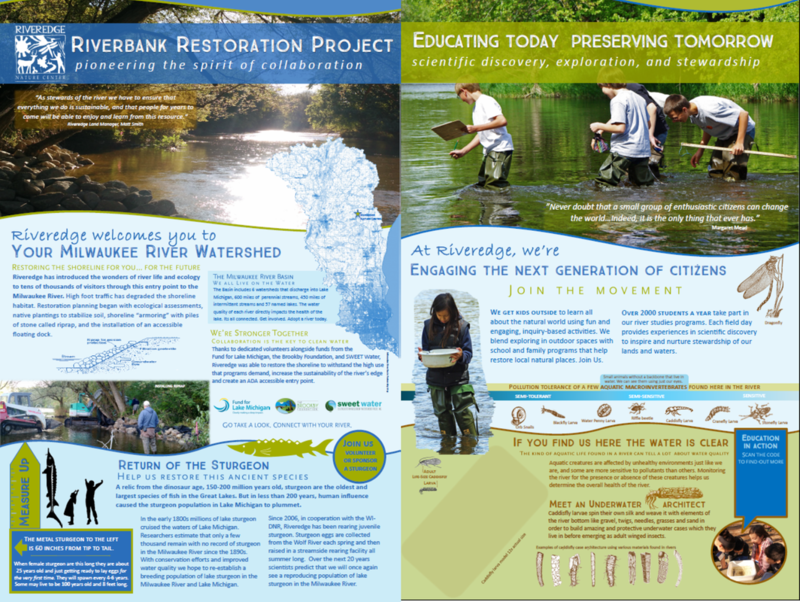 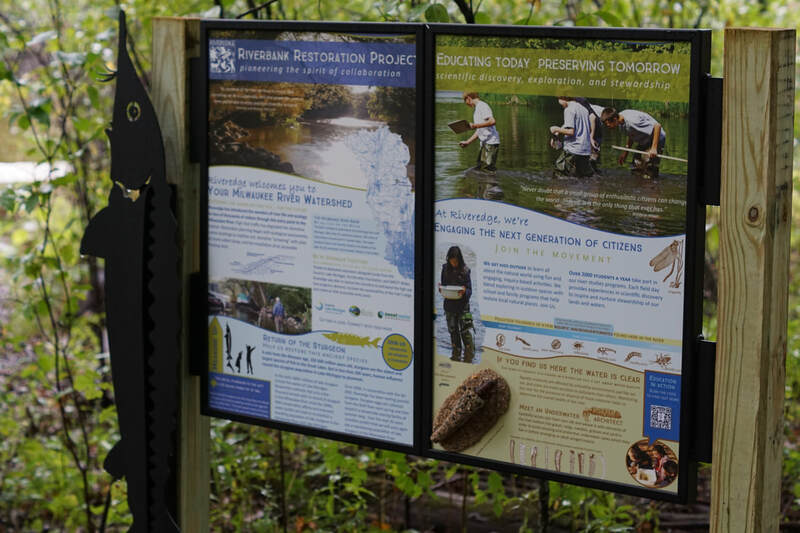 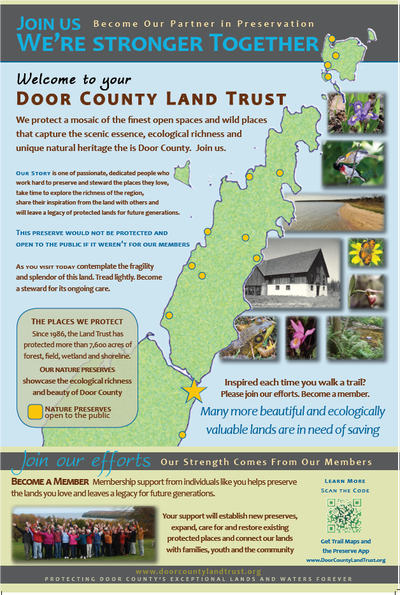 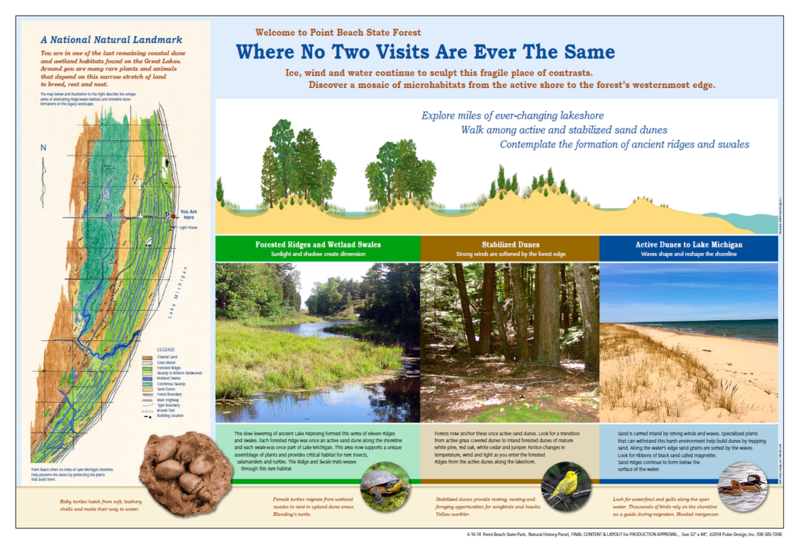 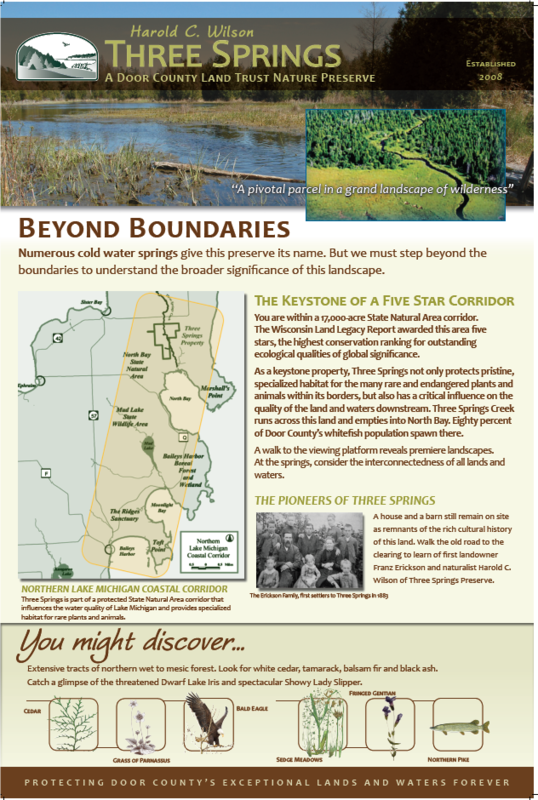 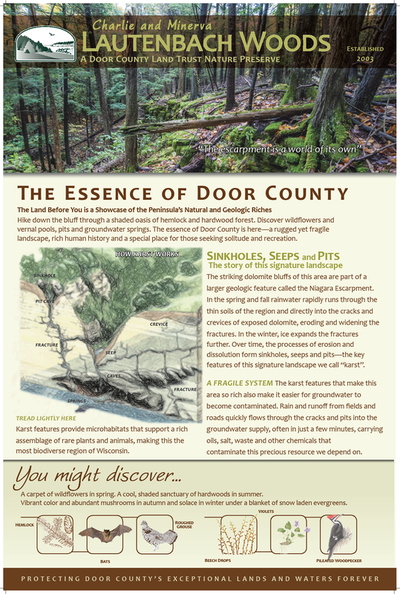 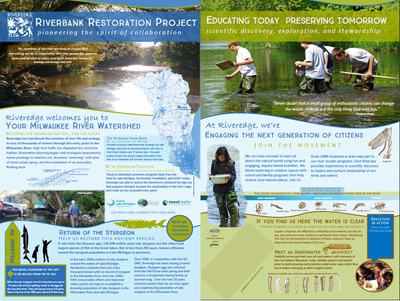 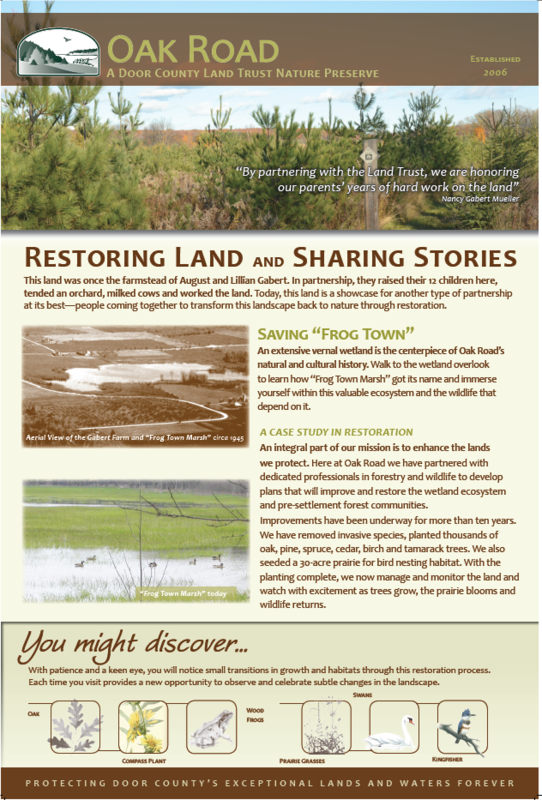 Highlight the unique aspects of each Nature Preserve, Generate Awareness, Spark Stewardship and Launch Appeal for Membership. 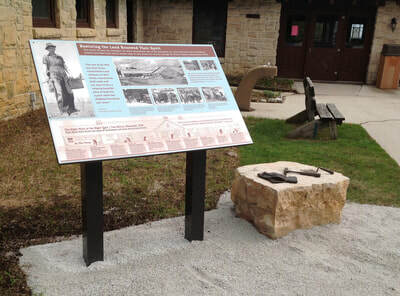 Custom design side reader rail panels to separate preserve rules and hiking maps from interpretive content. 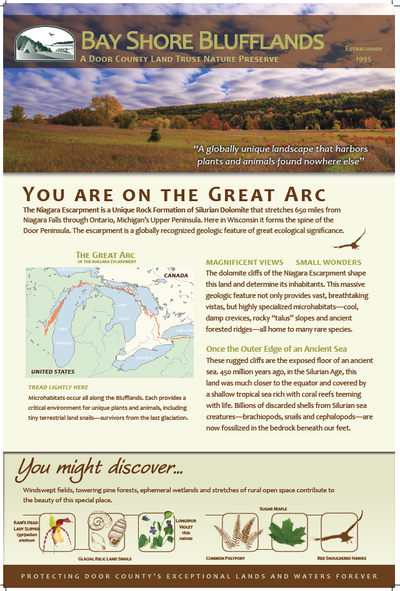 A 'You Might Discover' mini field guide section that features flora and fauna visitors may encounter that is unique to each preserve. Appeal Panel to encourage membership and generate awareness of the ecological diversity that each site is free and open to the public because of membership and volunteer effort. Join us! 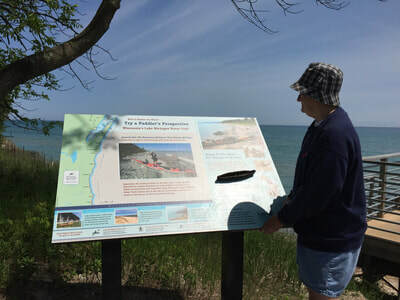 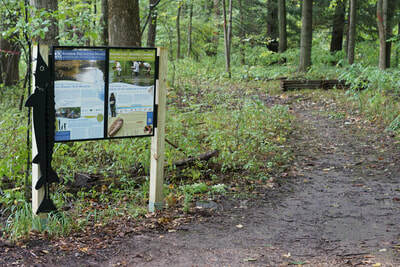 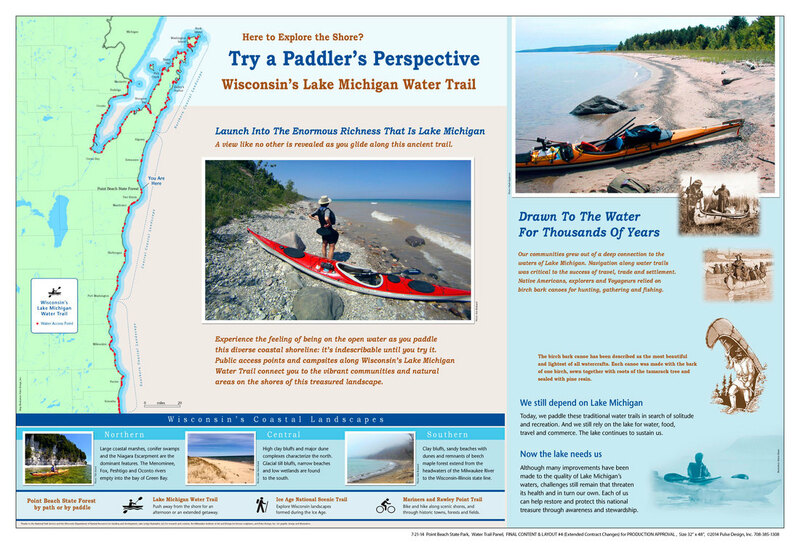 Introduce the new Lake Michigan Water trail and kayak campsites on the property.